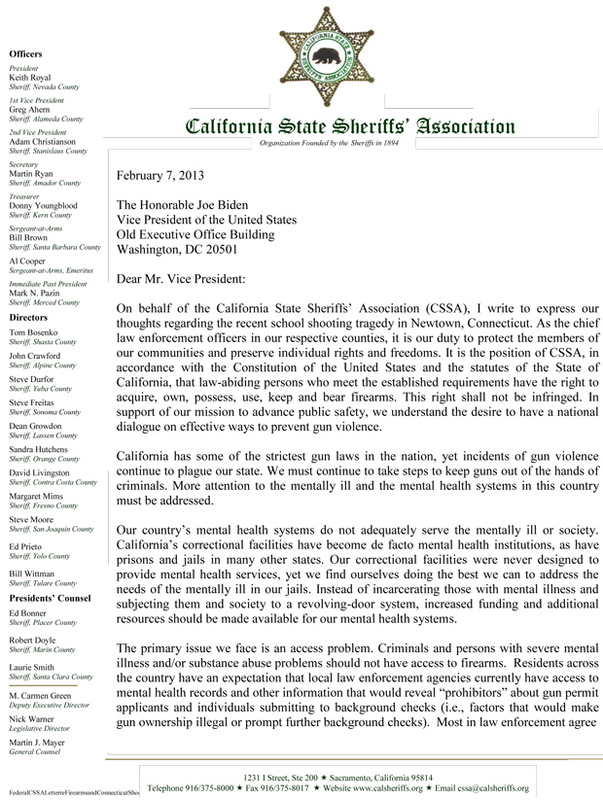 The California Sheriffs have joined the ranks of the other 282 Sheriffs and Sheriff Associations who have followed the lead of Sheriff Tim Mueller of Linn County, Oregon – who wrote a letter to VP Biden that they don’t support or want to enforce a gun ban. 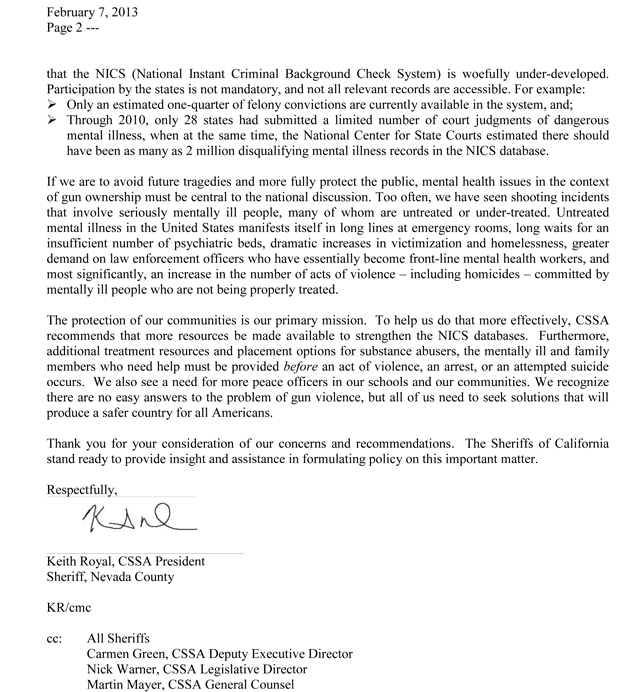 The California Sheriffs have a few points which I haven’t seen from any of the other Sheriffs I have reported on, they take issue with the fact that the prison system has been turned into the primary place for mental health care for criminals, and they think that the solution to reducing violence is not to ban assault weapons but to have better treatment of the mentally ill instead of having a revolving door policy of putting criminals that haven’t had proper rehabilitation back out into the public – and to take more measures to stop the mentally ill from purchasing firearms. This entry was posted in 2nd Amendment, Nullification. Bookmark the permalink.